TCF Equipment Finance (TCFEF), a division of TCF National Bank which is a subsidiary of TCF Financial Corporation (TCF) (NYSE:TCB), today announced the appointment of Neil Bennett as national finance manager for its airport ground support equipment division. Bennett has more than 30 years of experience in the airport ground support equipment industry. His responsibilities include growing the airport ground support equipment division by securing financing with airports, airlines, fixed-base operators, maintenance repair and overhaul, and ground-handling companies nationwide. 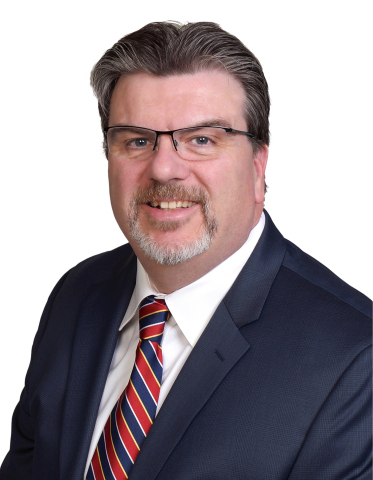 "Neil brings a wealth of industry knowledge and the strategic and tactical know-how to help TCFEF become a stronger leader in the airport ground support equipment industry," said Kurt Schmitz, VP of sales at TCF Equipment Finance. "I'm confident that his leadership is an exceptional asset to the division and he will contribute successfully to building a sales and service model that meets and exceeds the needs of our existing and prospective customers." Prior to joining TCFEF, Bennett was managing director of Somerset Aviation Capital and was the president of Compass eGSE for 18 years. TCFEF offers standard and customized equipment financing options to airports, airlines, air cargo companies, fixed-based operators, ground handlers and equipment manufacturers. For more information on the TCFEF airport ground support equipment division, visit tcfef.com/agse. TCF Equipment Finance is a division of TCF National Bank which is a subsidiary of TCF Financial Corporation (NYSE:TCB). TCF Equipment Finance is headquartered in Minnetonka, Minnesota with remote offices located throughout the United States. For more information about TCFEF, please visit tcfef.com. TCF Financial Corporation is a Wayzata, Minnesota-based national bank holding company. As of December 31, 2016, TCF had $21 billion in total assets and 339 branches in Arizona, Colorado, Illinois, Michigan, Minnesota, South Dakota and Wisconsin providing retail and commercial banking services. TCF, through its subsidiaries, also conducts commercial leasing, equipment finance, and auto finance business in all 50 states and commercial inventory finance business in all 50 states and Canada. For more information about TCF, please visit tcfbank.com.